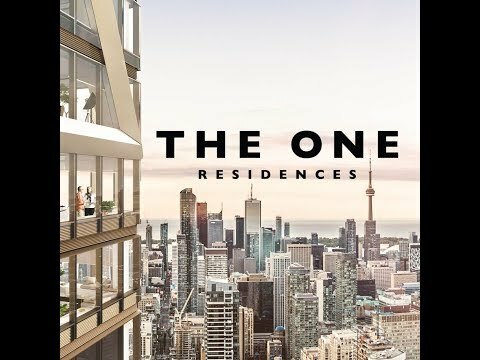 One of the most ambitious and buzzed-about projects is 85-storey The One Residences, which will be the second-tallest building in Canada (behind the CN Tower) when completed in 2021. Currently on offer are units from 1,100 square feet to 6,300 square feet priced from approximately $1.5 million to more than $13 million. Mizrahi Developments has grand plans for the tower, including share-walls that allow buyers to customize and combine units, smart suites controlled by phones and ‘sky gardens’ featuring private outdoor pools and fireplaces that will more resemble backyards in the sky than condo balconies. Residents and visitors will never park their own cars; the entire building is valet-only. Add to that 24/7 cleaning services, a year-round outdoor pool on the 10th floor heated to exactly 100 degrees with a full snowmelt system, and at least six restaurants plus a lobby bar and it’s easy to imagine giving up the responsibilities of detached homeownership for the relative ease of luxe condo living. Catering to those who don’t have the time or desire to take care of the little things themselves is a recurring theme in Yorkville, with new condos’ amenities rivalling those of high-end hotels. Yorkville Private Estates, opening in spring 2019 with units ranging from 1,380 to 8,520 square feet and prices from $1.4 million to well over $7 million, partnered with luxury concierge services company The Forest Hill Group to offer “white-glove” 24-hour concierge and “lifestyle management” services. This includes personal shopping, flower delivery, chauffeur service, pet care, ticket reservation, a home improvement and repair team and more. There will also be optional valet services. 1 Yorkville, a 58-storey tower that includes the $450-million revamping of historic Victorian shops at its base, boasts its own signature concierge service that will do everything from book travel to take care of your grocery shopping and pack for your next move. The building’s stunning old-meets-new aesthetic is the perfect embodiment of Yorkville’s resurgence. Suites in the sold-out building range from 451-square-foot one bedrooms to 1,779-square-foot three bedroom plus dens, and will surely make a splash in the growing luxury rental market when the project opens its doors. Perhaps even more important than what these condos offer inside their walls is what they add to the Yorkville community. Toronto developers finally understand that luxury doesn’t stop at a building’s doorstep– it’s part of an entire ecosystem from restaurants to nail salons. You can’t just take from a neighbourhood; you have to add to it for long-term success. Virtually all new Yorkville condos include street-level retail, with many offering multiple floors of retail space to capitalize on the valuable foot traffic that runs through the area. Some anticipated openings include a McEwan grocery store and Nordstrom Rack at One Bloor East, a major renovation of Holt Renfrew to complement a new residential tower at 50 Bloor West, and the eight storeys of retail set to open in The One Residences.